Presented by Capstan Hauling and chosen by teachers, this entertaining package of animated shorts explores metaphor (Like an Elephant in a China Shop and Outdoors), a cultural tradition (Lion Dance), and environmental change (Geno and Ice Pepper). 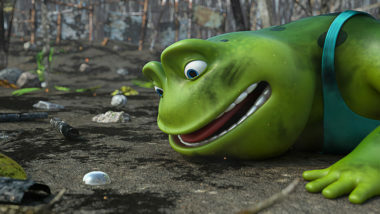 Helping others is a theme in many of the films. 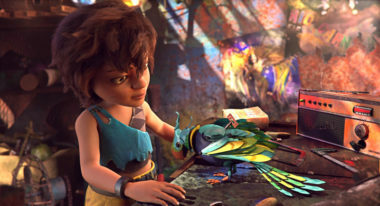 A child with a mechanical parrot searches a junkyard for scrap metal to fix its wing and inadvertently wakens a frightening creature. 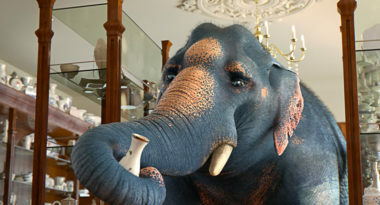 A china shop owner turns to greet a customer only to discover that his worst nightmare has come true. When a Chinese Lion Dancer performing in a city parade sees a beautiful young woman, it’s love at first sight for both of them, but the parade must continue. How will they find each other again? 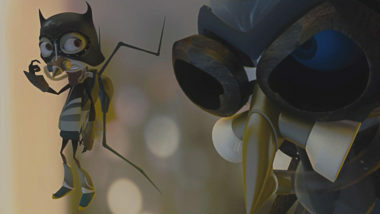 While her mother tries to teach her how to hunt, a mosquito confesses that she doesn’t like blood. Won Best Animation Film at the 2017 Breckenridge Festival of Film among other awards. 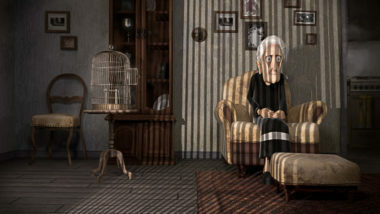 A very old apartment dweller steps out of her “cage” and into the big city after her pet bird is accidentally set free by the little girl next door. As she searches for her lost bird, she discovers something bigger than the city itself. When a drone threatens its flock, a crow awakens a scarecrow to protect them. 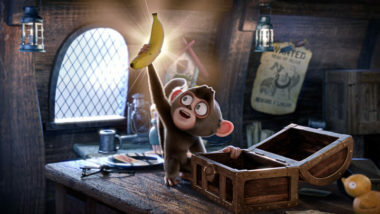 A pirate and his lovable monkey discover a treasure chest that will grant any wish … but only if the monkey makes the wish. How can the pirate get the monkey to wish for gold instead of bananas? Won Best Animation Film at the 2017 Breckenridge Festival of Film among other awards. Toad Geno and his neighbours are forced to seek a new habitat when the pond where they live becomes a construction site. Two penguins wander around the sea ice. Within a hidden ice cave, they discover crates full of chili peppers with an unusual property that could change their world forever.